Getting into the LTE game, Sprint today announced the first smartphones that would run on its new 4G LTE network: the LG Viper and the Samsung Galaxy Nexus. 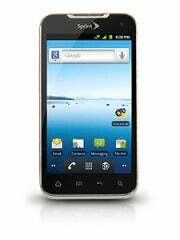 The LG Viper is an eco friendly phone running Android 2.3 (Gingerbread) and is powered by a 1.2 GHz dual-core processor. The Viper features a 4-inch WVGA NOVA display, a 5-megapixel rear-facing camera, as well as a front-facing VGA camera for video chat. The Sprint Galaxy Nexus will be the same as the one that will run on Verizon, save for two differences: The Sprint Galaxy Nexus will only have 32GB of storage (the same as the Verizon unit), and it will support Google’s NFC (near-field communication) payment system, Google Wallet. The Galaxy Nexus is slated for release in the second quarter of 2012, with no word yet on pricing. Nor was any pricing or release date information given for the LG Viper, though we imagine that both phones will launch relatively close to each other with a sub $200 price. Sprint says it will launch its 4G LTE service in four southwestern cities in mid-2012. Editor's note: The Nexus has 32GB of internal storage, not 16GB as Sprint initially stated. For more blogs, stories, photos, and video from the nation's largest consumer electronics show, check out PCWorld's complete coverage of CES 2012.